What is a Garbage Bin Rental? Garbage bin rental can mean a couple different things. 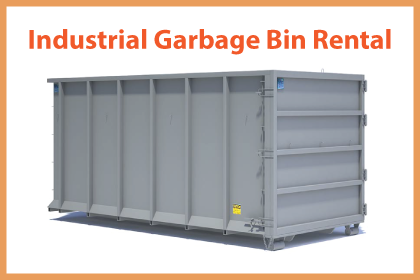 First, this can be an top loading steel container typically coming in 2-8 yards that is permanently left on your property and picked up on a schedule by a front loading garbage bin truck. 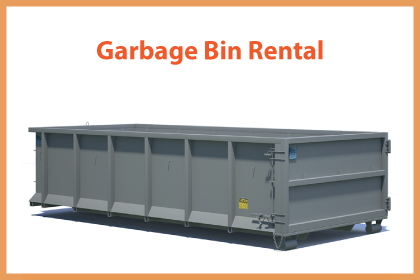 Secondly, garbage bin rental can be a temporary steel bin rental in sizes ranging from 10 cubic yards to 50 cubic yards and you can fill it up with whatever garbage that you might have to get rid of. Trash King – Dumpster Rentals & Bins offers the second king of garbage bin rental service and you can get a quote here. 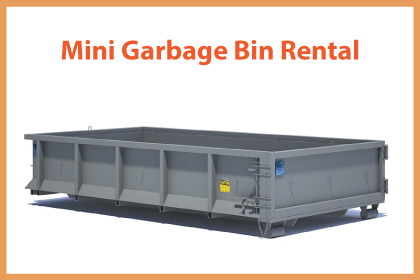 WHAT ARE GARBAGE BIN RENTALS? Some of our customers use our waste bins for residential waste when they buy and sell their home or complete a renovation. Other customers use our garbage bins for roofing materials from the cedar shake, membrane and asphalt shingle roofs they tear down each re-roof project. We have property management companies that rent our commercial garbage bins with scheduled dump-and-returns and upfront pricing. Typically, we can add value to your business by being on time with our garbage bin drop offs and by sticking to the schedule that you require. We have waste management analysts on hand ready to come up with a trash removal solution that not only saves you money but reduces the impact to the environment. Call today for more information industrial garbage dumpster rentals.